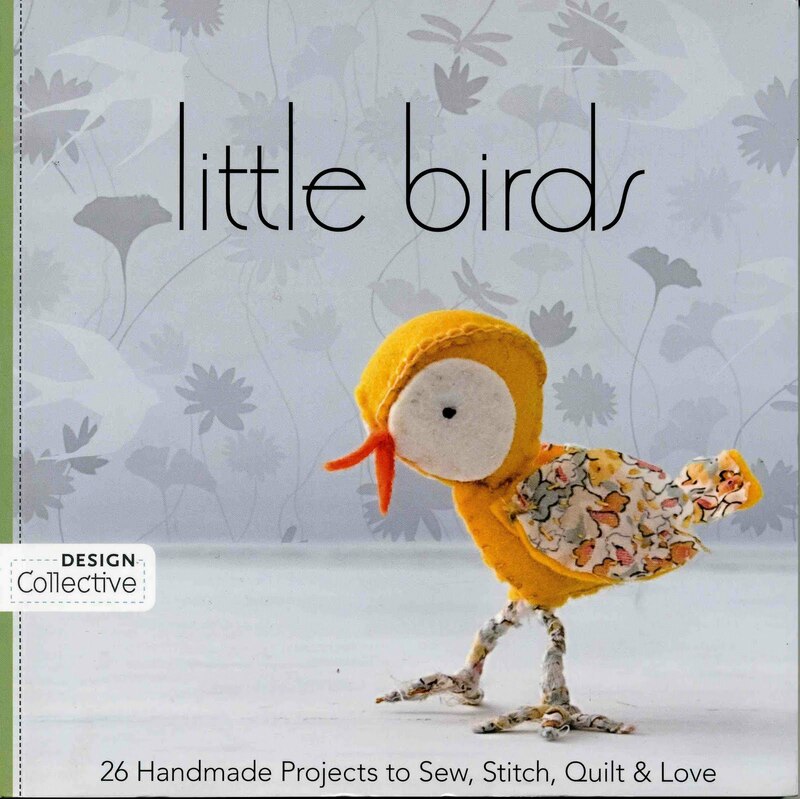 i was shopping on amazon a bit ago and found this darling book little birds. 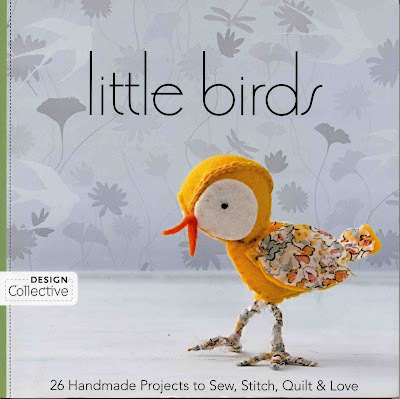 the tiny chick on the cover was enough to make me order the book on the spot....i just had to make one of these little wool chicks by margaret oomen. 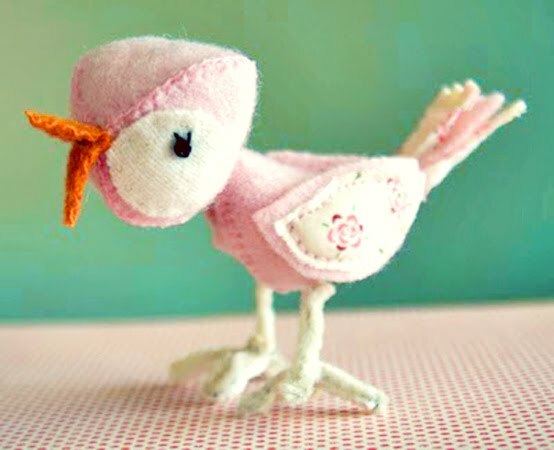 baby bird ella is the first little wool birdie i have sewn from the book. something weird is up with the pattern in the book i think. the first body i sewed from the pattern was really too small. i had to enlarge the body and beak, to look like the photo. i made the tail a bit bigger and scalloped the end and added little glass bead eyes with embroidered eyelashes... i used these vintage pipe cleaners that stephanie sent me for the legs instead of wrapping wire with torn fabric. its so fun to shape the little feet so they look like they are ready to take a tiny step. 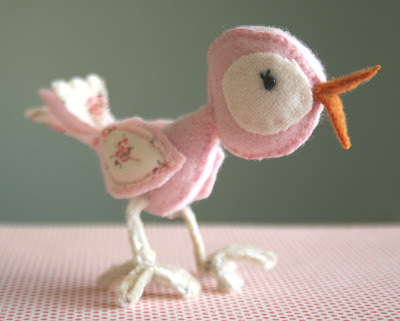 this little bird really was so much fun to sew, and used such a tiny piece of wool! a great take along project to hand sew while you are waiting somewhere. 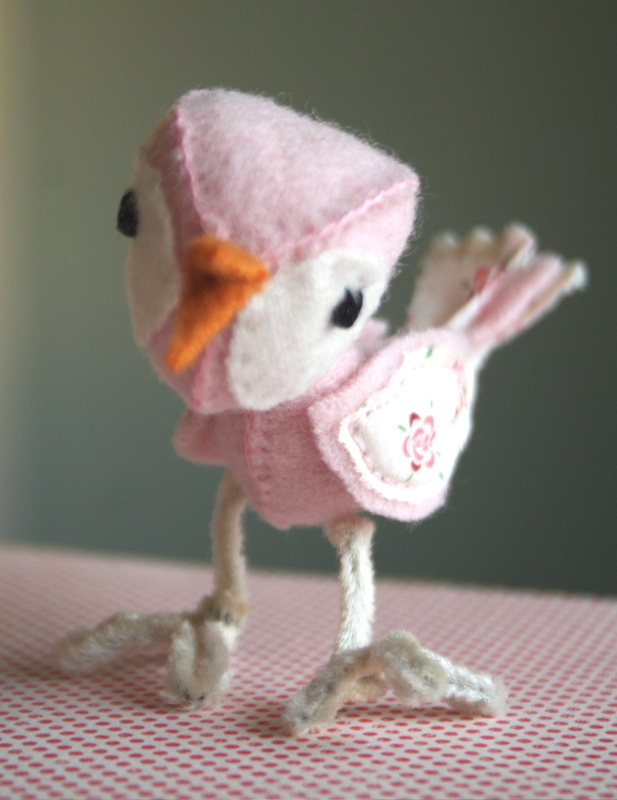 i found a great pink jacket at the thrift store that i felted for the body. 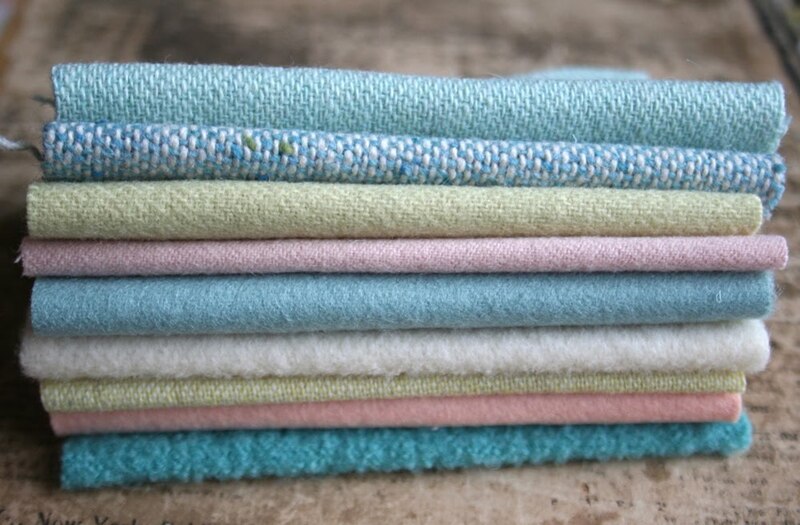 **felting note** if you are machine felting a piece of old wool clothing be sure to remove the iron on interfacing. 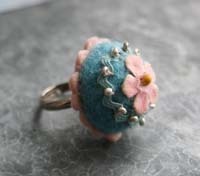 i did an experiment this time to see what would happen if i left a piece on the wool and it felted right to the fabric. might be useful, might be nasty. i used a sweet little girls cotton shirt for the wings and tail. 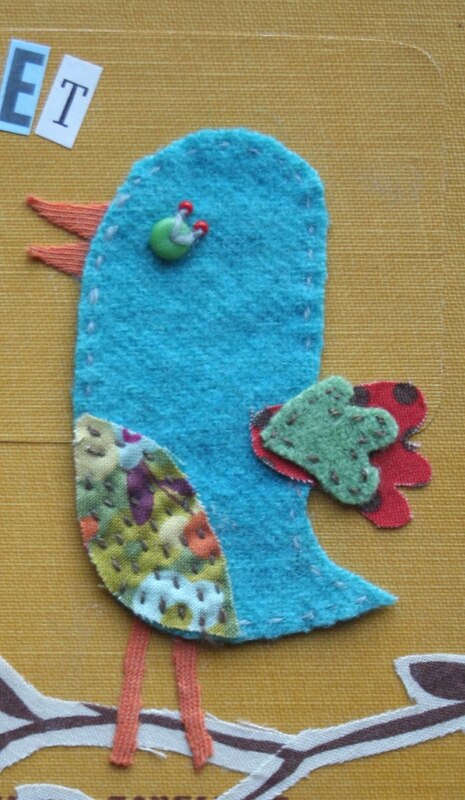 i decided to stitch around the wings and then stuff them with a bit of stuffing and then stitch through it all for some definition on the wing. 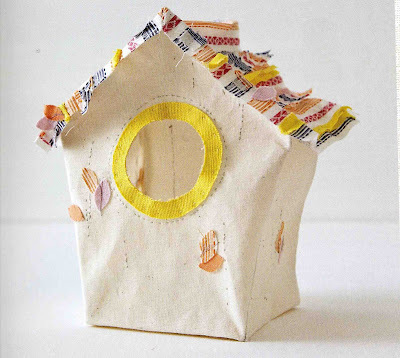 this little birdhouse by abigail brown is such a wonderful idea. just browsing her website creature textiles was incredible. and i love 'mildred and the baguette' by samantha cotterill.... her etsy shop mummysam is one of my favorites! 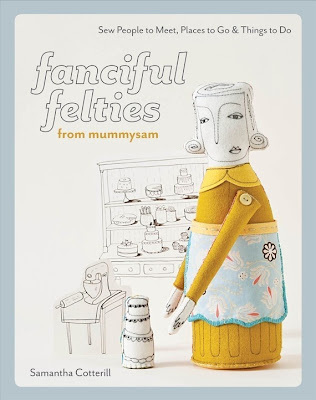 samantha has a new book out 'fanciful felties' that is on my new book wishlist after i have had some fun with this one first. 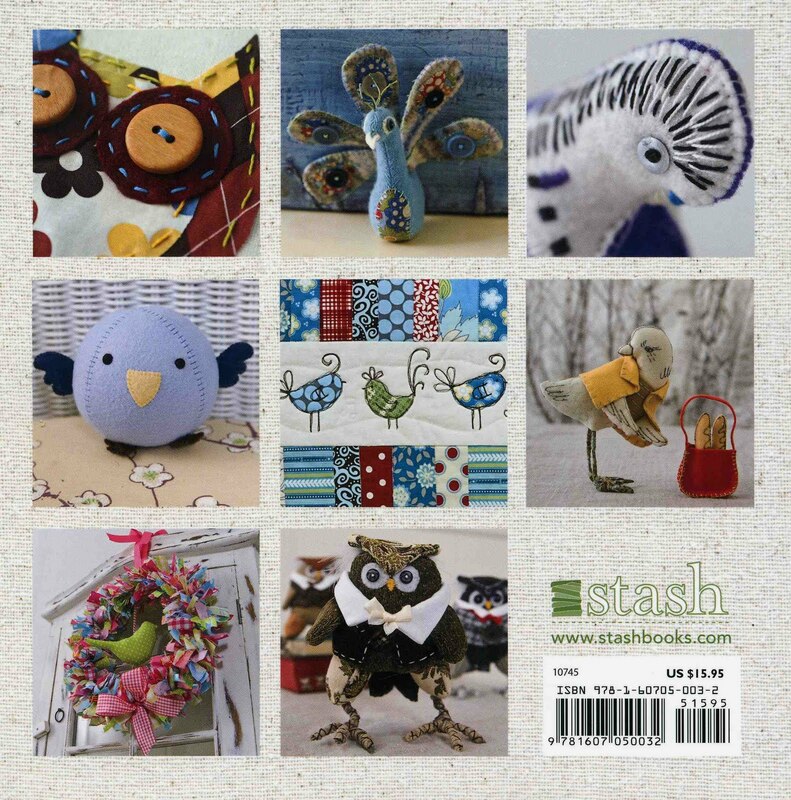 here's the back cover of little birds with more fun images to get you thinking about sewing again. 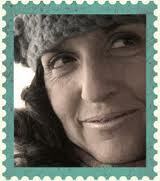 i'm relaxing after work in my studio and my sweetie is in the kitchen making dinner tonight. somebody scored a few points tonight bringing home dinner, flowers, and a heart shaped box of chocolates for everyone. 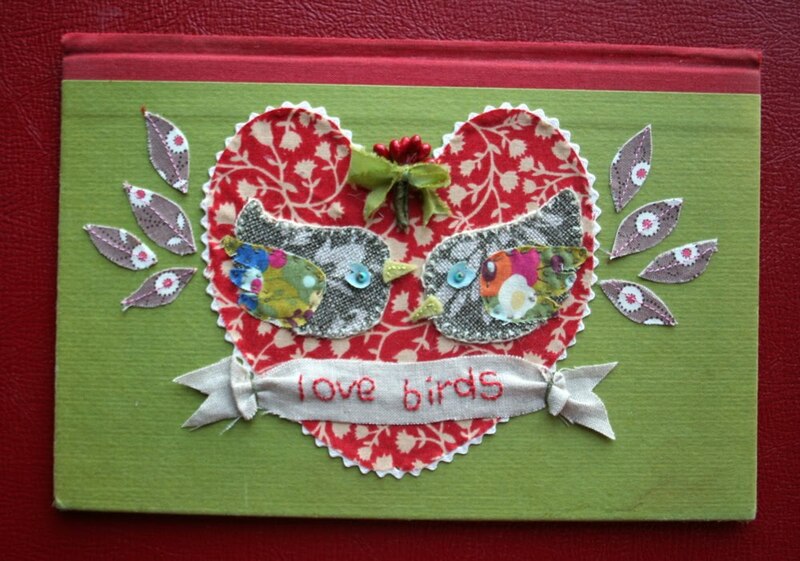 thought i would send you a little love from tweet and the love birds for your valentines day. 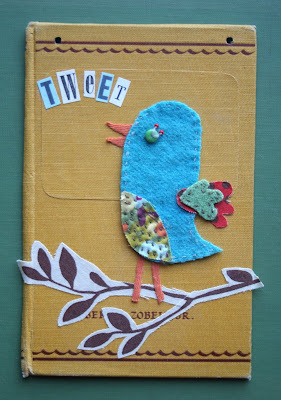 embroidered fabric collages on book covers. 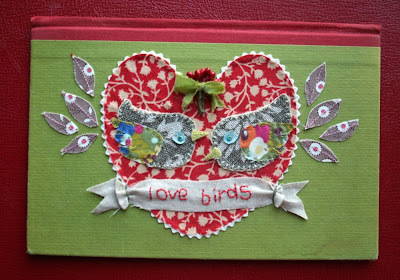 i made tweet at my art group and came home and made love birds the very next day. 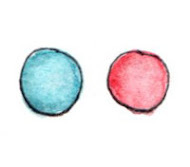 tips for picking out book covers: choose different sizes and colors that might be fun to work with. 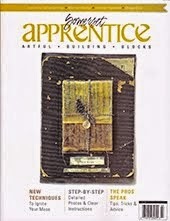 don't worry about a different color spine or a some wear on the cover. 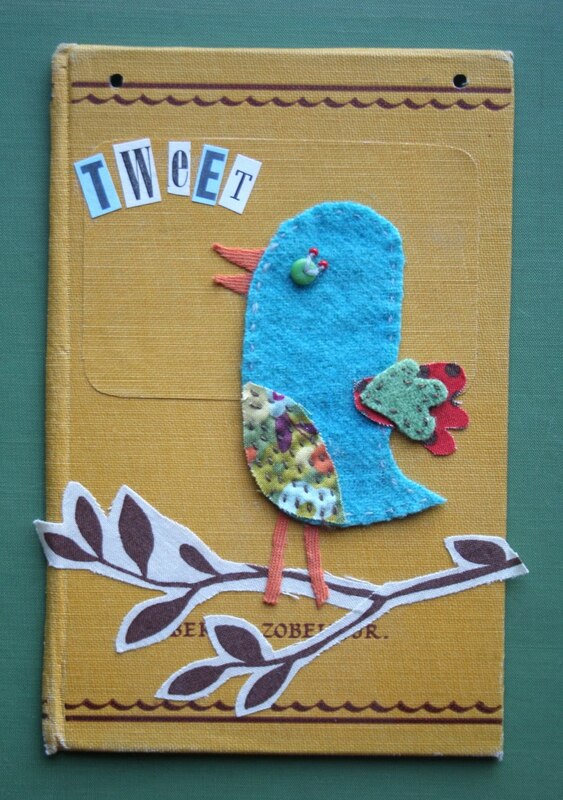 'tweets' cover has some cool brown scalloping and even a bit of the authors name showing through. 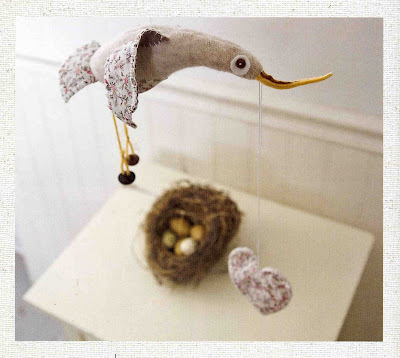 to punch holes through the top to hang with ribbon use the Crop-A-Dile - Eyelet and Snap Punch Tool. i thought my japanese screw hole punch would do the trick until i tried this beauty! punched through like butter! 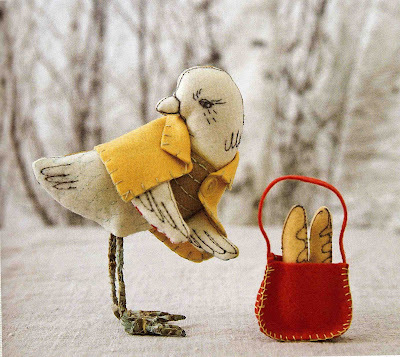 1. bird body cut from linen 2. bird wing cut from printed cotton 3. bird beak cut from felt 4. bird eye cut from a cotton millinery flower petal. the brown cotton leaves were sewn on the machine and then cut out. 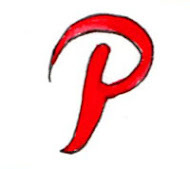 the linen embroidered banner was first penciled on, stitched, and then cut out. glue it all in place using aleenes tacky glue. 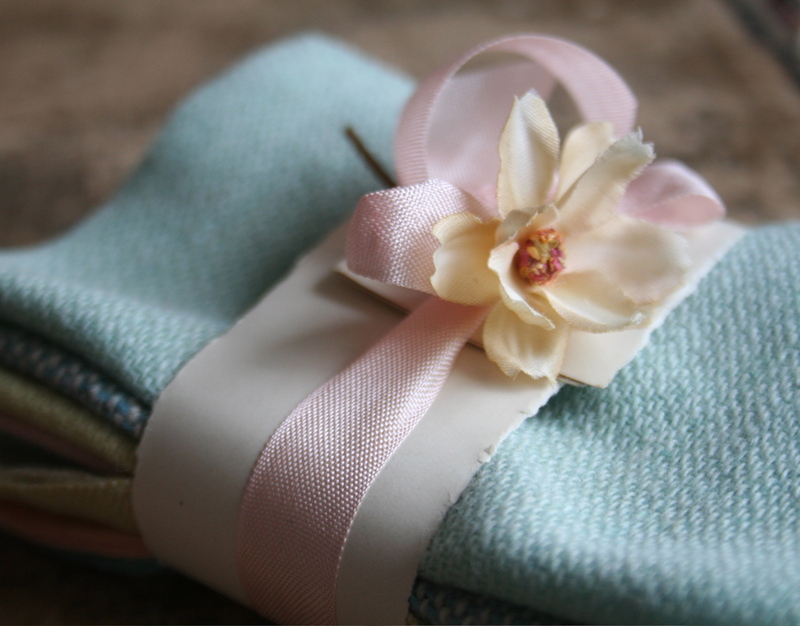 the little stamen bundle was first wrapped in silk ribbon and then glued to the top of the heart. cut out fabric and felt shapes and arrange on your book cover. the leaves and twig were part of a design printed on fabric that i cut out and arranged like a branch. glue the stitched pieces down in this order 1. branch 2. feet and beak 3. stitched felt body with tummy and eyes embroidered on using little glass beads. 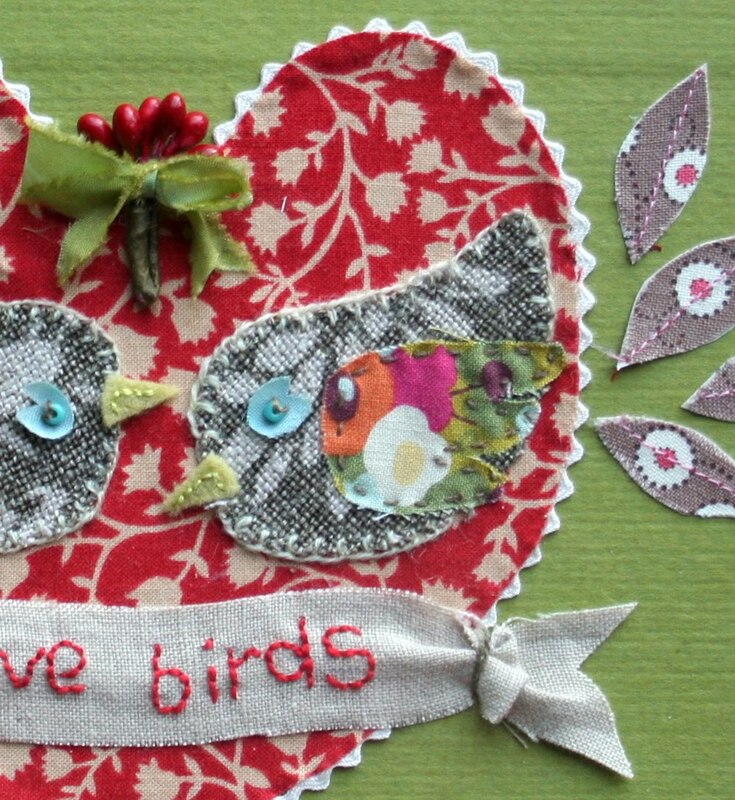 4. stitched wings-2 pieces one felt and one printed fabric and 5. collage letters to spell tweet. 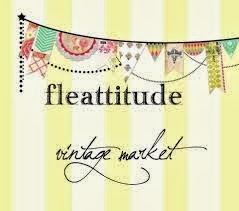 feels so light and airy today, must be spring. i just wore a sweater to school. 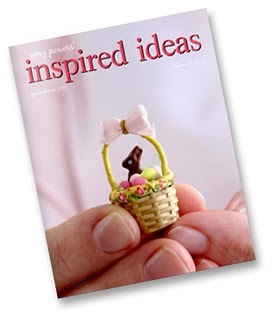 isn't that tiny easter basket adorable? for someone like me that likes everything tiny i nearly quit breathing when i saw it. 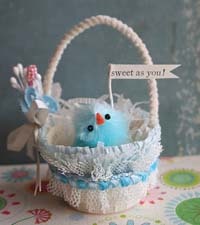 i have a little lovebirds tutorial the spring issue as well as some of my favorite photos. 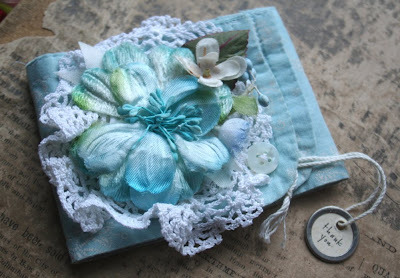 the cuff challenge amy sent out gave me the idea to make this pale blue blossom cuff. so easy when you start with a pre-made base, just cut the cuff off an old shirt. 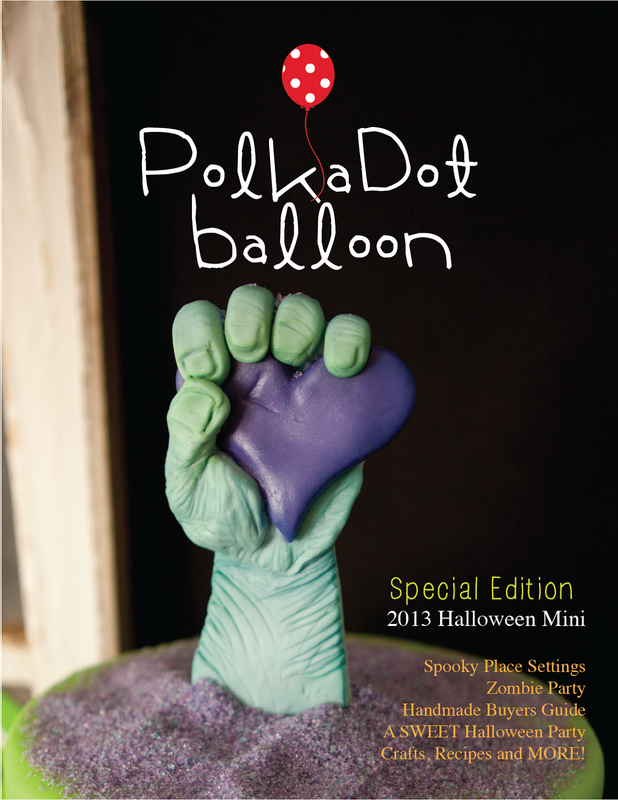 it already has the button closure and is so quick to make. you can enter the give-away to win my cuff on amy's blog. i cut a piece from a vintage hanky that had a hand crocheted edge and gathered it into a rosette. then i sewed little millinery leaves, flowers, and stamens on top. 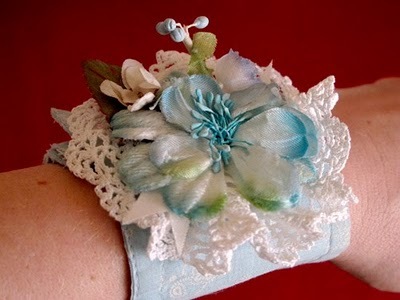 it got me thinking about making wrist corsages again. i also dug out my wool stash this week and put together this bundle of yummy spring wool pieces. i can't wait to start making some little wool birds. 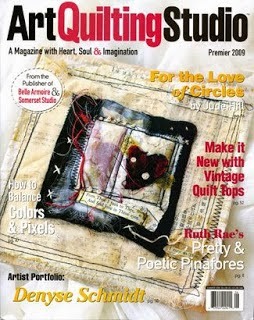 1. i want to sew, it makes me happy. 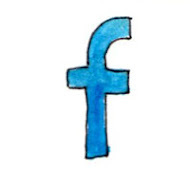 2. i want to find a way to make my sketchbook part of my daily creative life. so with these thoughts in mind i embark on a new year (a month late). 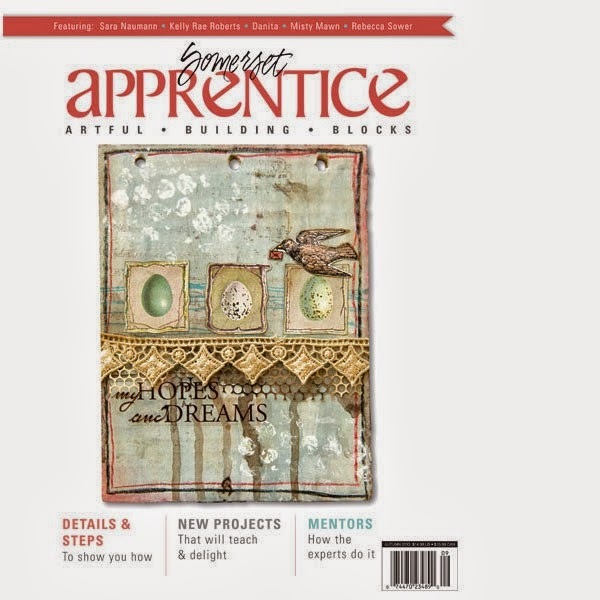 however if you have been following my blog for any time at all you will recall my mantra is "keep moving forward", so with that in mind i will say what is a little old month anyway? my photos for today are for a birthday celebration. a group of sweet gals in illinois wanted to give something special to their dear friend diane on her 50th and asked me to make this card for her. i took a few photos before i mailed it off. it was so fun to hear later about the party and the reaction of the birthday girl when she opened the card and the gift from her friends. i loved being part of this wonderful memory. i used a vintage cabinet card folio that opened to show the photo inside. i secured a piece of vintage paper underneath the corners of the mat and built the birthday cake collage on top. 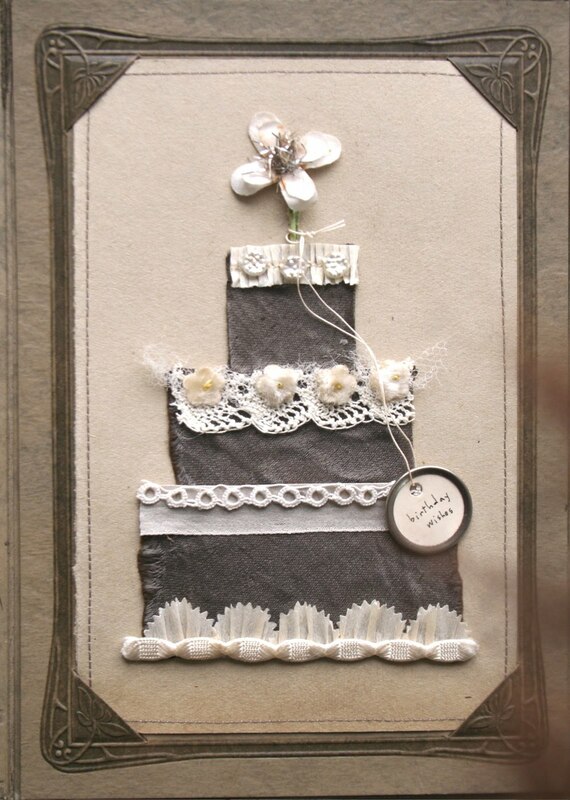 each of the elements i used for the cake were vintage. the layers of the cake are a thick brown satin that was used to make an evening gown. 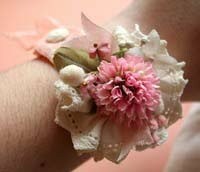 the frosting trims are vintage crepe paper, trims, tatting, and hand crocheted lace. the little flowers are from a vintage ladies hat and the mercury glass beads i found in san francisco. 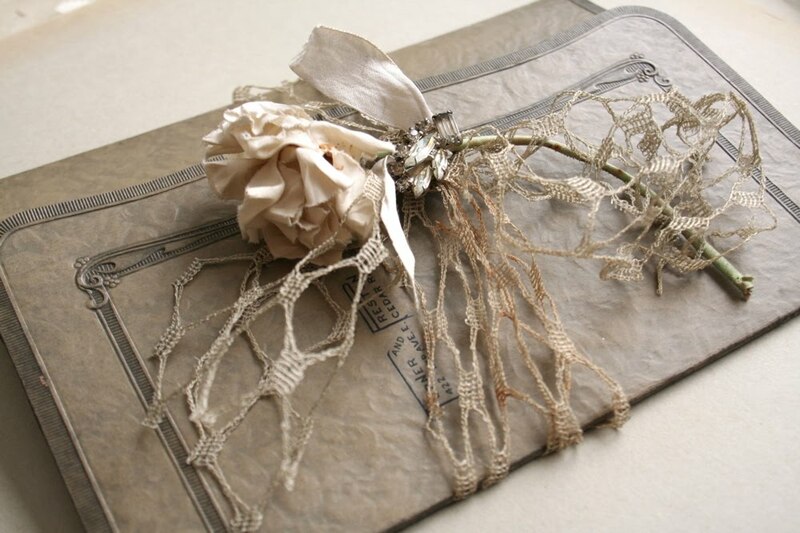 the folio is tied with a band of vintage hat netting and a large millinery bloom secured with a vintage rhinestone pin. cabinet card folios are a sturdy and lovely presentation. just remove the old photograph to use in another project and have fun. 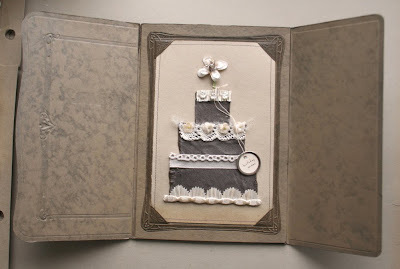 i would love to see what you have made with an old cabinet card folio so please leave a link to visit.